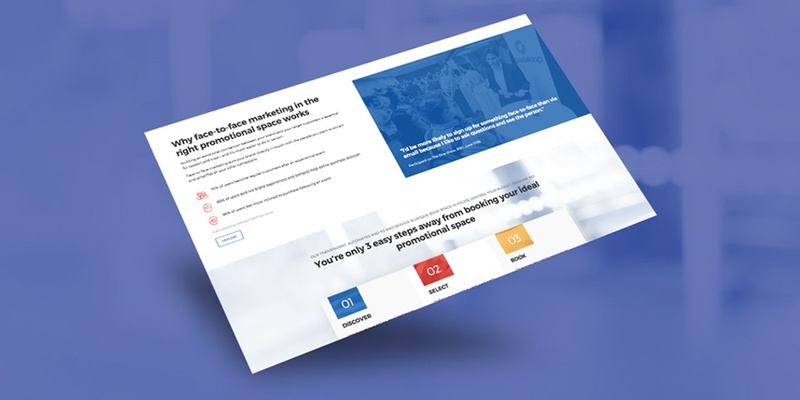 Promotional Space is an online marketplace that makes it easy for brands to connect with their target customers face-to-face, in high footfall retail areas. This unique platform matches brands with some of the UK’s most prominent retail outlets, opening up available space for promotional events. In a single process, brands can discover, select and book the perfect space to showcase their products or services to a very specific audience. Offering transparent ROI, Promotional Space enables brands to achieve stronger engagement and awareness, better quality lead conversions and a shorter sales cycle, while retail venues maximise profitability of their available space. Promotional Space is a fast-growing business with steep targets for future growth. Frustrated by lacklustre online engagement through their existing website and inbound marketing activities, they engaged Struto to help. Using our Marketing Matrix, we conducted a series of workshops to clarify internal and external messaging, buyer personas and positioning statements. During this time, we also gathered data on their current website regarding user preference and behaviour, and conducted further research to understand current perception of the business. We created a growth plan that included all key elements necessary to maximise engagement. Starting with a brand refresh including new guidelines and messaging, we built a new GDD website on HubSpot and integrated it with the Promotional Space commercial platform. Content strategy was designed to resonate directly with target personas, building rapport and trust at every opportunity. Ongoing growth plans are designed to connect with clients from first click, through increasingly sticky engagement to latest booking and beyond.